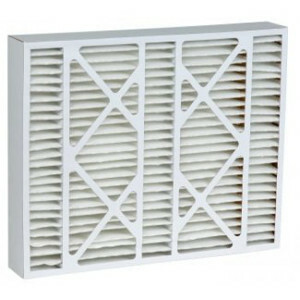 White Rodgers Air Filters remove particles from the air that can build up in your system. White Rodgers 5" and 6" AC filters should be changed at least once per year. The FiltersFast Brand 20x26x5 Air Filter F825-0549 is a compatible alternative for the OEM White Rodgers 20x26x5 Air Filter. 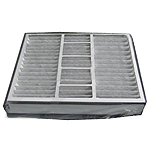 This filter is made of fine carbon powder bonded to lofted polyester media for odor reduction. The FiltersFast FFM112-20265 is the compatible replacement for the White Rodgers MERV 11 F825-0549. If you are looking for a FiltersFast Brand economical compatible alternative for the OEM White Rodgers 16x26x5 Air Furnace Filter try this White Rodgers 16x26x5 Furnace Filter Replacement F825-0548. 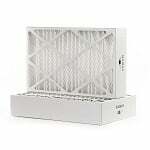 F825-0548 is a compatible Merv 13 air filter that replaces the White Rodgers F825-0548 and improves household air quality by capturing dust, pet dander, and pollen among others. 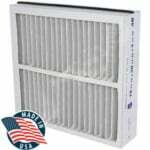 The Filters Fast Compatible 16x26x5 MERV 11 Air Filter can be used as an upgrade for White Rodgers part number F825-0548. Upgrade your White Rodgers Media Filter today and get a better filter for the same price as the original manufacturer's brand! The FiltersFast FFM112-16265 is a compatible Merv 11 air filter that replaces the White Rodgers F825-0548 and helps eliminate air pollution before it is recirculated through air conditioning systems. 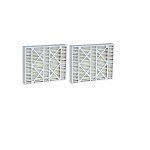 The FiltersFast Brand White Rodgers F825-0549 MERV13 2Pack is a compatible alternative that's a part of the White Rodgers F825 Series residential air cleaner replacement filters. 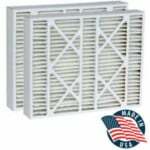 The FiltersFast FFM82-20265 is a compatible Merv 8 air filter that replaces the White Rodgers F825-0548 that improves household air quality by capturing dust, pet dander, and pollen among others. The FiltersFast FFM112-20265 is a compatible Merv 13 air filter that replaces the White Rodgers F825-0549 and helps solve the problem of indoor air pollution. 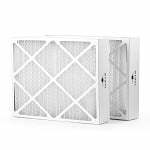 The FiltersFast Brand White Rodgers 16x26x5 F825-0548 2Pack is a compatible economical alternative to the genuine 16x26x5 air furnace filter. The White Rogers FR1600-100 replacement captures small airborne particles before they circulate through heating and cooling systems and collect on coils or contaminate household air.